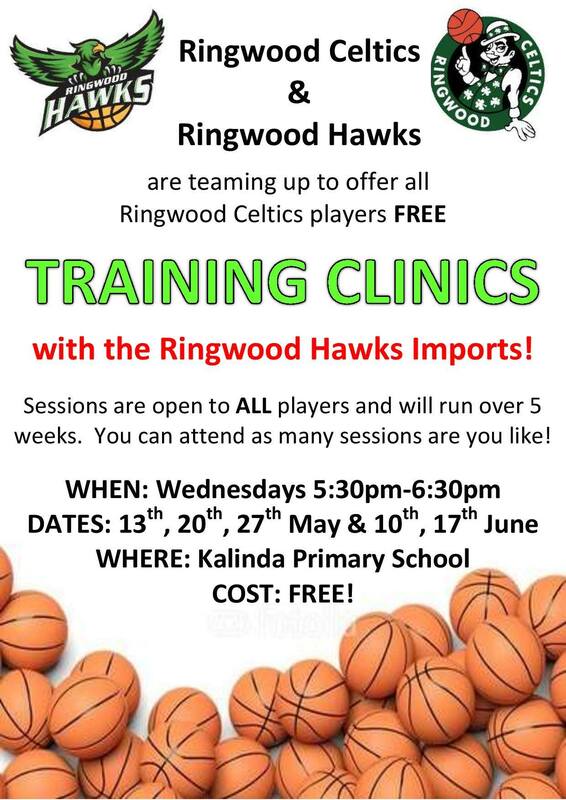 Attention all #ringwoodceltics players: Ringwood Hawks are offering all Ringwood Celtics players FREE training with the Imports. Sessions will run on Wednesdays for 5 weeks and you can attend as many session as you like! Take advantage of this great opportunity – bring a basketball, drink bottle and be ready to learn heaps! 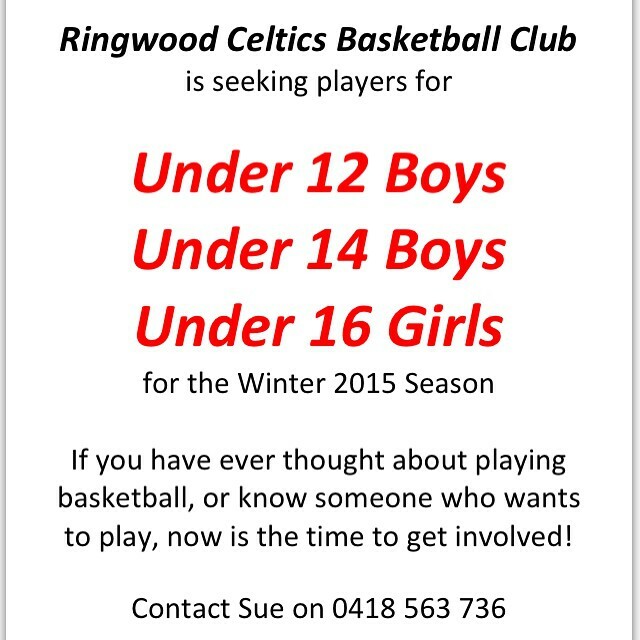 We are urgently seeking players to fill our U12 Boys, U14 Boys and U16 Girls teams. If you have ever wanted to play basketball, or know someone who does, get involved now! We are looking for new players to join our U10 Boys, U12 Boys and U14 Girls teams next season! Do you know anyone who might want to become a CELTIC? If you have ever thought about playing basketball, or know someone who wants to play, now is the time to get involved! The Club held its extra-ordinary meeting on Wednesday 18th Feb at 8pm at at The Rings (Maroondah Indoor Sports Centre) Meeting Room. We were really pleased to see so many people at the meeting tonight – thanks to everyone who attended. We are pleased to announce our new President, Steve Young; Vice President, Daniel Francic; and Secretary, Lisa Cairnduff. We will be holding a winter team organisation meeting next Wednesday 25th at 7:30pm at The Rings (Maroondah Indoor Sports Centre) meeting room. We would like to see *all* coaches and team managers at this meeting! The Club is holding a meeting on Wednesday 18th Feb at 8pm at at The Rings (Maroondah Indoor Sports Centre) Meeting Room in order to elect a new Club President and Vice President, positions which are currently vacant. In order for the Club to go forward, we really need these roles to be filled. This meeting will set our agenda for the year ahead, so we really need your support in helping to shape the future of the Club, and turning up gives you the chance to have your say and to vote on issues. Hope to see as many of you there as possible!! A reminder to all families that the 2014-15 season resumes THIS Saturday 31st January! Below are the fixtures for all teams. The Summer 2014-15 season breaks begins today, 13th December 2014. The Club wishes everyone a very Merry Christmas and happy new year. Enjoy the break, keep practising, and we’ll see you all for the first game of 2015 on Saturday 31st January 2015! The Club held its AGM on the 12th, with a relatively small turnout which was disappointing. We are happy to report that the club is in good financial standing. Greg Matthews has finally stepped down from President, remaining as GEBC Contact until conclusion of Summer 2014-15 Season. Sue Zuccolo was elected as our new Registrar, which has been vacant for several years. We welcome Sue aboard! At present, we do not have a President or Vice President. An extra-ordinary meeting will be called in February to elect a new President and Vice President. If these roles cannot be filled, further action will be taken, including asking every parent of Club members if they are interested in a role, including other Committee positions. Importantly, from Winter 2015 season, a member from every team entered into the GEBC will be asked to join the committee and attend meetings. We don’t ask much, and only have 10 meetings per year. We really need new faces going forward, and we’d love to have your help. The Celtics Have an App! 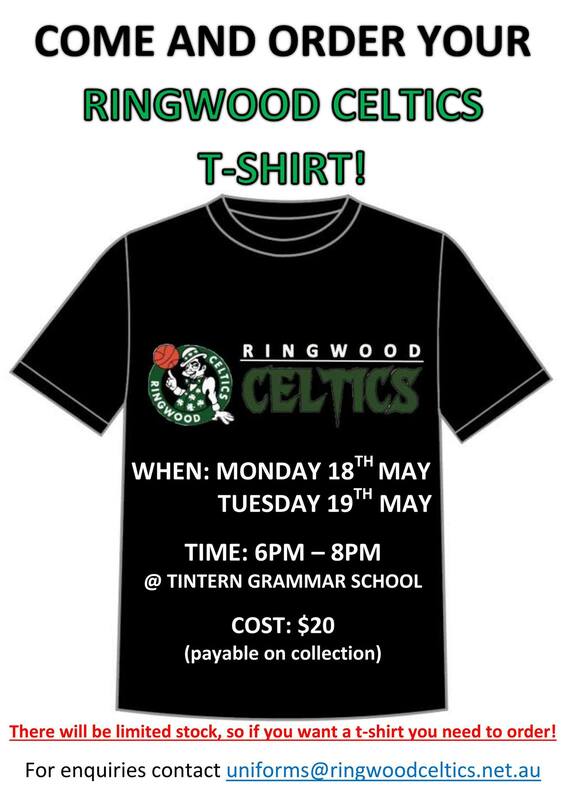 We are pleased to announce that you can now follow the Ringwood Celtics with our app! Download it to see fixtures, photos and events. There are links to our Facebook, Instagram and the website. 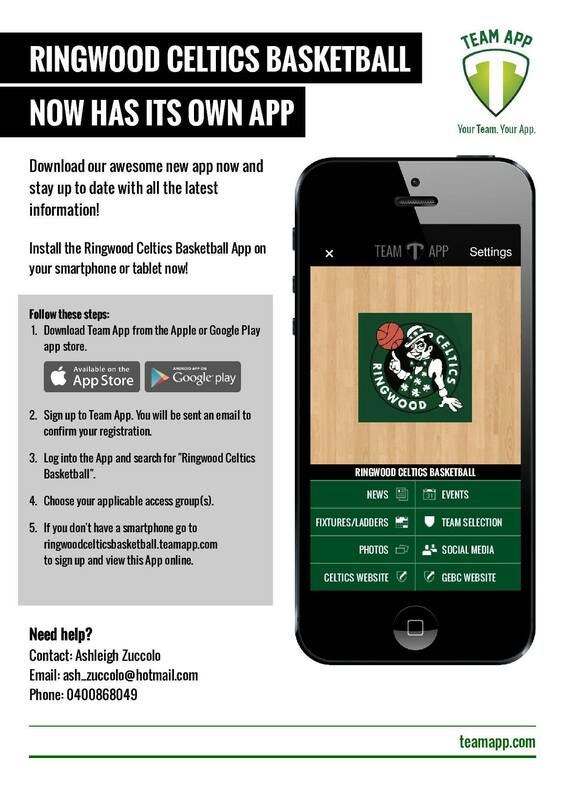 Download the “Team App” from the Apple App Store or Google Play Store, sign up, and search for the “Ringwood Celtics Basketball” to get access.